Have you ever bumped into any such situation where you have misplaced all your iPhone data? I did, but thanks to Joyoshore iPhone Data Recovery for Mac that I could effortlessly retrieve it back. So, I decided to share my thoughts of using this awesome iphone recovery tool with you all. Trust me, this software is just a masterpiece and works without any trouble. Why I suggest Joyoshore iPhone Data Recovery for Mac? This software is equipped with all the hottest features that promise for a verified and reliable recovery of the lost iPhone data without any worries. This software is compatible with all iDevices be it iPhone, iPad, iPod and work with iTunes and iCloud as well without any fritter. 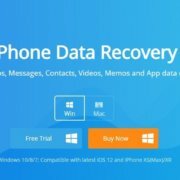 If you are apprehensive about the file types, then let me tell you this iPhone data recovery software is a boss and can recover 20+ file types from iDevice. You don’t have to be stressed about any lost data be it pictures, WhatsApp or facebook messages, notes, calendar, Safari bookmark and the list goes on. The process of using this tool is embraced in three minor steps only which makes it easy to use and there is confusion at all. So, you don’t need to be a technical expert. This tool allows the user to select the files before scanning plus one can preview the files before restoring it to the desktop. The user can also select all the files and restore it for later use as well; all this happens in just one click. Do you want Joyoshore iPhone Data Recovery for Mac? I will suggest you to first go for free trial and once you are satisfied paid version is also available for 59.95$. Right now discount is running; so you can grab the software in just 49.95$. It is a great deal by the way! How to use Joyoshore iPhone Data Recovery for Mac? The amazing feature of this software is that it proffers three methods to recover the data and you can choose as per your requisite. Why not take a glimpse of all three methods one by one? ► Download Joyoshore iPhone Data Recovery Mac through its official website and launch it in your desktop before starting the process of recovering data. 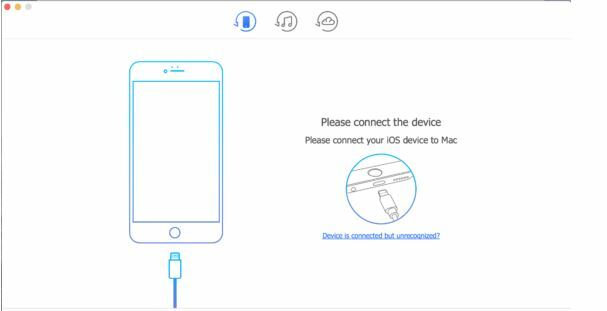 Use the data cable that you have received with your iDevice and connect it with your desktop or laptop. Now you need to double click on Joyoshore iPhone Data Recovery for Mac. Once the software starts running, it will detect the device that you have connected. Here you will get to see all the details of the device. Now click on the “First recovery method” and then click on the “Scan” button. It will take some time, so hang on and do not click on anything. After the scanning process, the list of the files of both the lost and the one already there will appear on the screen. Here you can either check each file manually or can choose “Only show the deleted”. In case you want to recover any particular lost file then type the keyword on the Search box. Once you are ready with the lost file, click on “Recover”. Before using the direct method ensure that the latest version of iTunes is not launched when connected with Joyoshore iPhone Recovery . To avoid automatic synching, it is better to disable iTunes. Here the two steps will be the same as mentioned above. Instead of first recovery method, choose “Second recovery mode”. 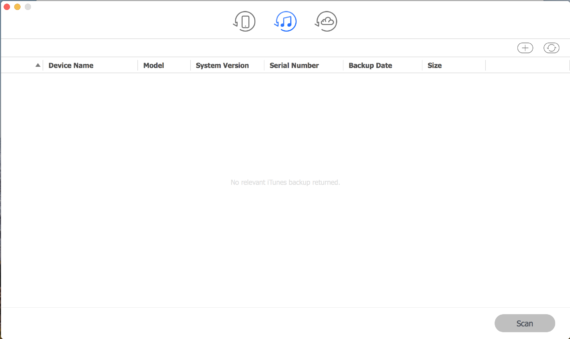 After that Joyoshore iPhone Recovery software will automatically identify the iTunes backup files, and the same will be displayed. Now you will see a “Gear” icon next to the files, here select the one you want to restore and then click on “Scan”. Here carry on the same method of restoring the files by individual selection, using the keyword or click on “Only show the deleted” once the files are extracted. Preview and then click on “Recover”. By chance, if your lost data are encrypted, then you need to give the password to release from encryption before scanning. 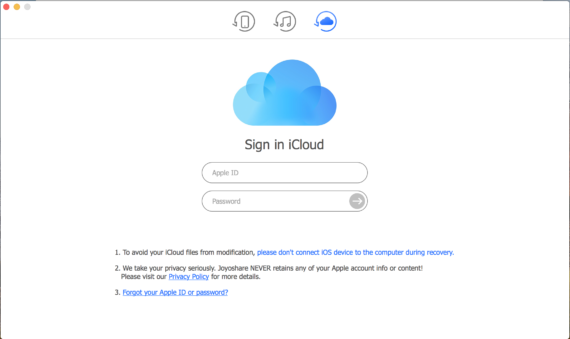 In the next step, you will be taken to the sign in page of the iCloud Backup. Sign in to your account. Now the Joyoshore iPhone Recovery will furnish the list of the backup files. Here select the respective files and then click on “Download”. Choose the file type by clicking on “Select all” and then click on “Next” for scanning. Here you need to choose the files that you want to retrieve by selecting it and then click on “Recover”. Note – There is no need to worry about the safety of the files as Joyoshore iPhone Data Recovery for Mac guarantee not to keep any records of the iCloud account. 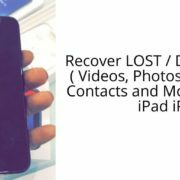 Final words – After using Joyoshore iPhone Data Recovery for Mac I am happily giving it a green signal and request others to try it to recover data from iPhone. The features are remarkable, and anybody can use it. Further, it comes with lifelong updates that too free so the software gets enhanced with every stipulated period. I have not faced any doubt while using it but in case you are bewildered take help of the technical support anytime and get the data recovered at soaring speed. 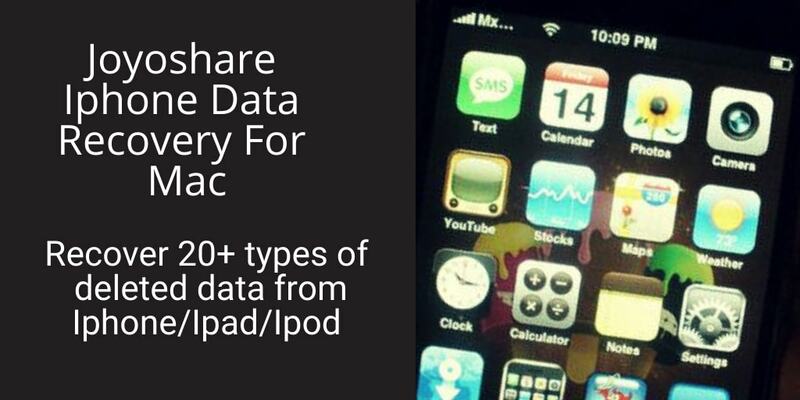 So, without any second thought get back all your lost iDevice data right away and keep it safe.